Be the first to see this dramatic Edward Dart design from 1958. Built on a gorgeous lot with sweeping views across a 4 acre pond. 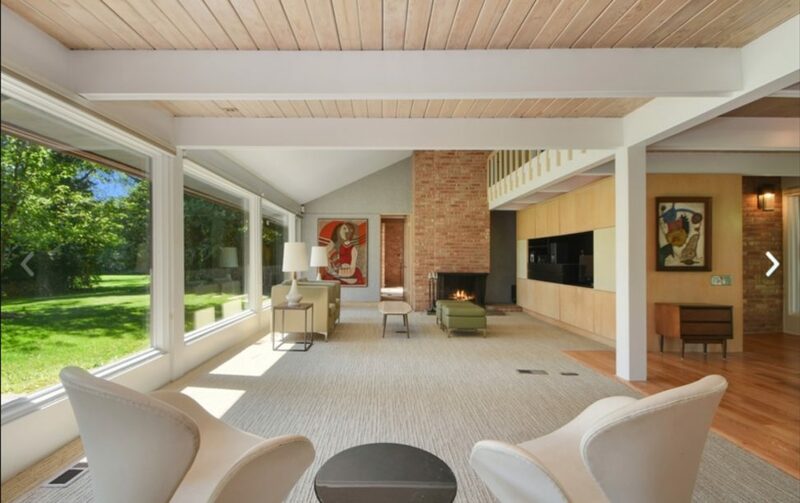 Gorgeous open floor plan Mid-Century Modern designed by architect Edward Dart. Huge walls of glass overlooking a huge yard and pond. Vaulted ceilings in the living room and master bedroom. The master features a private patio. Open living room, dining room, kitchen, family great room and office, plus loft and basement. Tons of storage space and attached two car garage. Fenced dog run on back side connects to garage. All new flooring throughout (hardwood and carpet). New paint. New freezer. Newly sealed circular driveway. Very clean and beautiful. The serenity of this space is divine! Watch the deer and geese from the comfortable interiors or from the large covered deck. Homewood-Flossmoor schools.